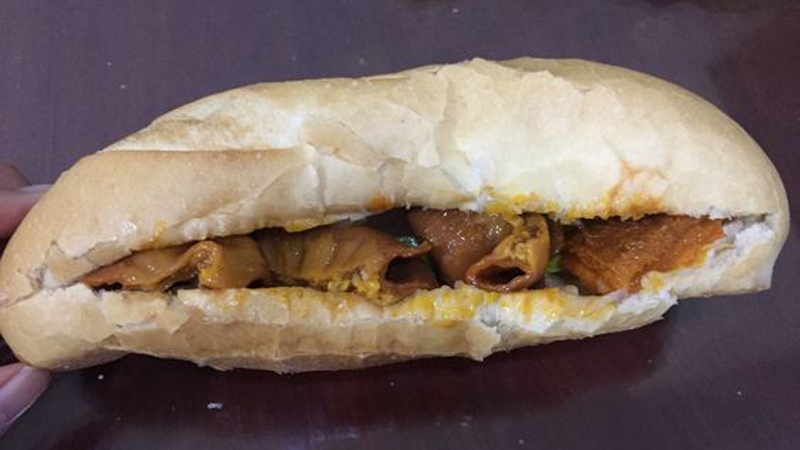 According to� Vietnam Online, pork is the most widely eaten meat in the country, accounting for about 77.5% of the country’s total meat intake. Therefore, it’s not surprising that beyond the popular pork-based dishes, there are also dishes that utilise almost every other part of the pig, except its hair. A popular dish across the country, and yet one that not many tourists know about, is� Sup Cua Oc Heo, or Vietnamese Crab Soup with Pig Brain. Consisting of crab meat, quail eggs and pig brain, the dish is served in a small bowl in most local markets and street stalls and often eaten for breakfast, or as a snack. 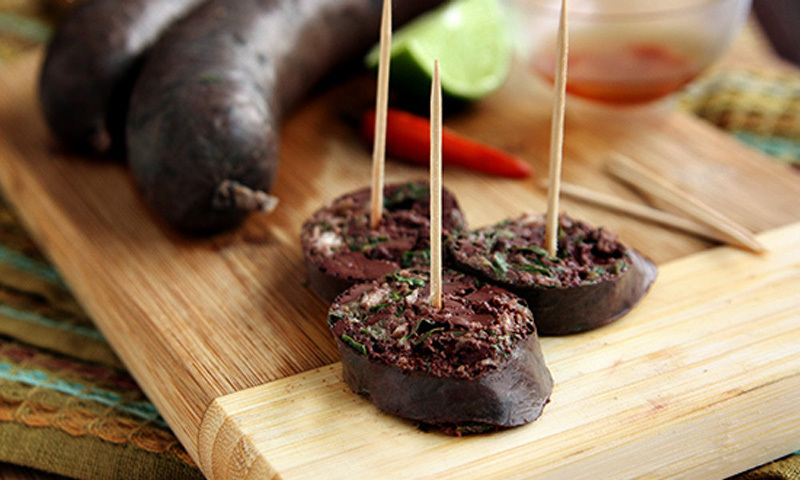 A very common product made from of the pig’s intestine is� Doi, also known as Vietnamese blood sausage. A layer of the intestine, also known as hog casing, is filled with a mixture of pig’s blood, vegetables, spices, garlic, peanuts and green beans and then steamed or grilled. It’s usually served with fish sauce, lime and chili. This item is also an ingredient in� Chao Long, a porridge filled with offal. As a snack, it apparently goes really well with beer. The intestines and colon can also be boiled or deep fried on their own and are known as� Long Non or� Trang, which can be found in most local markets. There are two noteworthy dishes that use the pig’s stomach. One is� Stewed Pork Stomach with Star Anise, or� Da Day Ham Hoa Hoi, and� Slow Braised Pig’s Stomach with Whole Peppercorns, or� Bao Tu Ham Tieu. Also known as� Tiet Canh, pig’s blood is often served as a coagulated pudding of terror (for most foreigners) and is commonly served with� Bun Bo Hue, or Hue Beef Noodles. It can also be eaten on its own as a street snack, although it was also the subject of a blood-poisoning outbreak from the� Streptococcus suis bacteria earlier this year that left 12 people hospitalised and four dead. Otherwise, the dish is generally safe to eat. 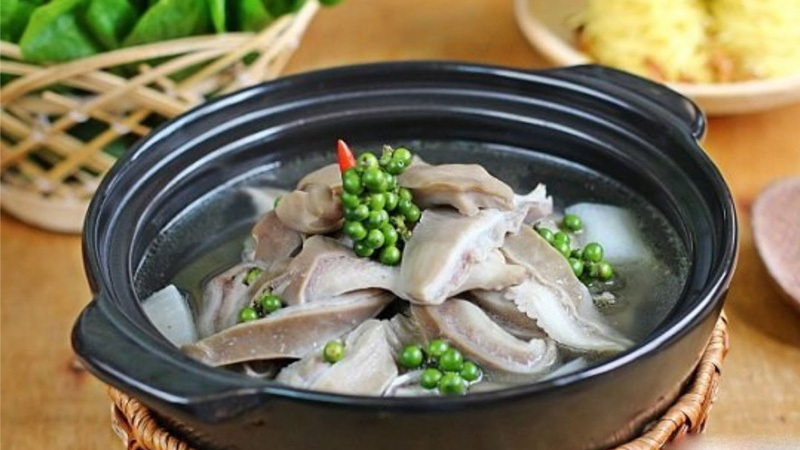 An article about organs will never be complete without mention of� Pha Lau, or Vietnamese Stew with Organs. 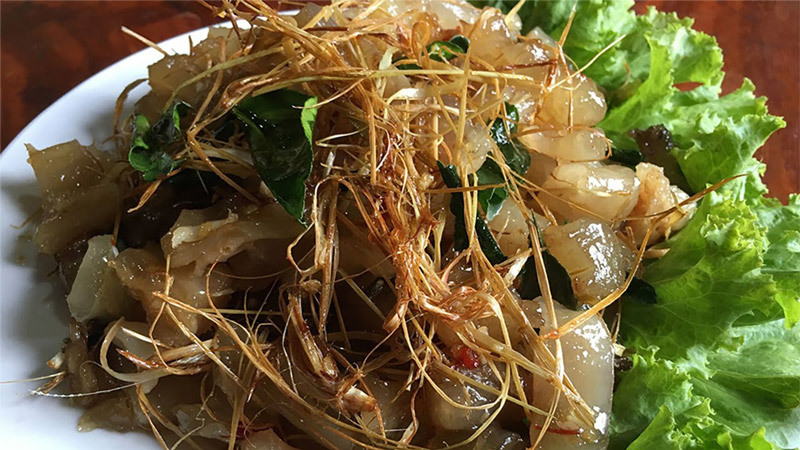 This dish is a showcase of Vietnamese resourcefulness at its finest. Pha Lau can be served with rice, noodles or even as a filling for� Banh Mi. The heart and the� uterus of the pig are also worth a mention and they are commonly grilled at barbecues and eaten as snacks during gatherings. Beef is another commonly eaten meat in Vietnam. You can find sliced beef in popular dishes like� Bun Bo Hue and Pho, and the Vietnamese version of beef steak, also known as� Bo Ne. And just like the pig, various other parts of the animal can be found in dishes across the country. The tripe, also known as the muscle wall of first three chambers of the cow’s stomach, can be found in many dishes around the world; in Vietnam, it makes its appearance in the country’s most widely known dish:� pho. Do you know what else you can find in� pho? Just like the tripe, beef tendon is also usually included in� pho. 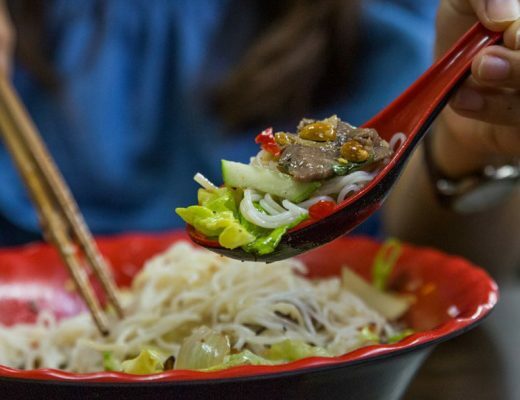 With its chewy texture and unique taste, the tendon can also be found in a salad known as� Nom Bo Thap Cam, or Beef Tendon Salad. 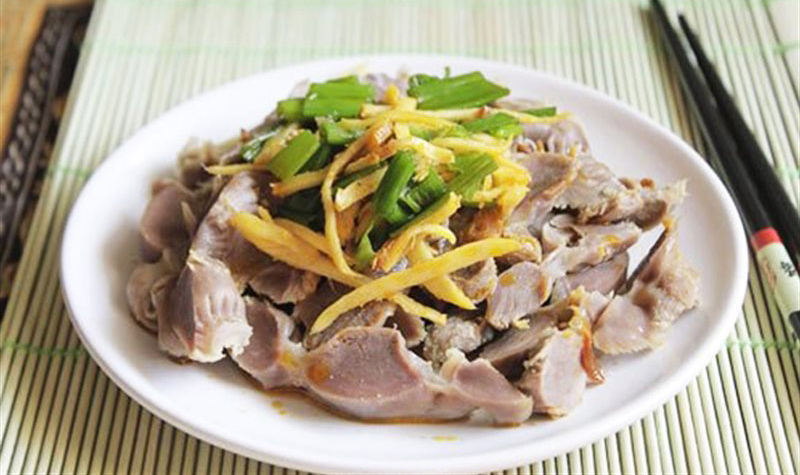 Just like its pork-based cousin,� Pha Lau Bo is prepared the same way, but using the organs from cows. This dish can be found in most restaurants specialising in beef and can be eaten with rice, noodles or bread. Also known as� Me Ga Sot Gung,� Fried Chicken Gizzard with Ginger Sauce is typically eaten during cold days, usually with steamed rice. There are several dishes that make use of chicken gizzards that are typically home-cooked, such as� Me Ga Xao Ca Tim, or� Stir-Fried Chicken Gizzards with Eggplant, and the gizzards are also commonly grilled on a skewer and eaten on their own. Another popular organ that’s prepared the same way is the chicken’s heart. In Vietnam, the most common egg dishes are derived from chickens, quails and ducks. The egg dishes from chickens are generally similar to what you can find elsewhere in the world. However, quail and duck eggs are popular for another dish:� Balut. 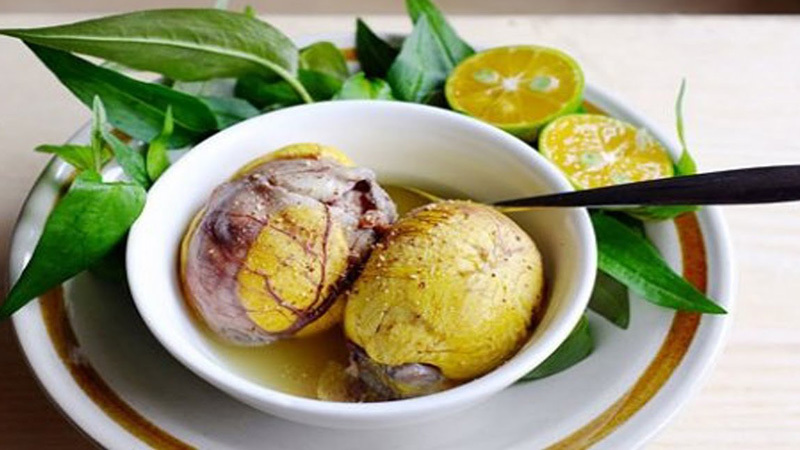 Also known as� Trung Vit Lon, what makes the Vietnamese version slightly different from the Filipino version is that the eggs are about 19-21 days old, and the dish is served with coriander, also known as� Rau Ram. The version using quail eggs is called� Trung Cut Lon. Both of these dishes are usually sold by mobile vendors who ride their pushcart bikes around the neighbourhood blaring out the name of the dishes ominously in an almost poetic form that even if you don’t understand what it means, you can mimic word for word.